Today I felt like a social outcast. Sitting in my office, the rooms echoed with their emptiness. Everyone had gone home even though it was only 3 o’clock. Only I sat there – working. You see, tomorrow is Midsummer’s Eve, possibly the most important celebration in the Swedish calender. And though it isn’t officially a bank holiday, it is a day off. But the interesting thing is how Swedes always take half a day off the day before a day off in order to prepare. No matter what the holiday. Midsummer being no exception. 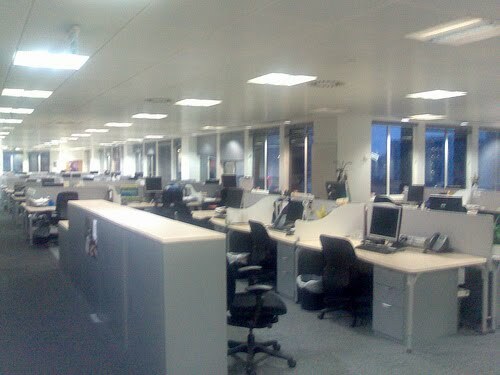 Only lonely souls and Neil No Friends are left rattling around empty offices like peas in an empty tin can. But why do Swedes take half a day off before the holiday day? Is it because day care is closed? Is it because the food takes a long time to cook? Is it because people are travelling long distances? Maybe. But I think the real reason is to do with alcohol. On Midsummer especially, the off-licenses are packed. The day before Midsummer is by far the busiest day of the year for them. This means that it takes such a long time to buy alcohol that they need a good few hours to queue. Happy Midsummer, wherever you are.